It is designed specifically for use in liquid and compressed natural gas (LNG and CNG) and liquefied petroleum gas (LPG) engines. 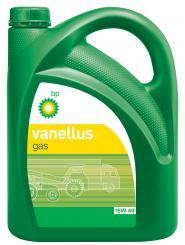 Vanellus Gas 15W-40 is approved by manufacturers for use in gas-fuelled vehicles. Unbelievable price on Vanellus Gas 15W-40 is a low ash engine oil in Kuala Lumpur (Malaysia) company BP Asia Pacific (Malaysia), Company.